Before classes start (or at the beginning of the semester), visit the office of disability services to get the academic and personal accommodations that you need. Typically, students needing accommodations will only have to disclosure the details of their condition to this office, meaning that your professors and other campus employees won’t know your personal information. Remember, if you don’t ask for accommodations, your school cannot make them. Attendance: If you need to miss class frequently due to symptoms, and ways you can make up your work. Classroom logistics: If you need to sit by the exit and/or leave class frequently. Exams: If you may need a flexible exam schedule to accommodate your symptoms. Housing: If you need a private room and/or private bathroom. Campus dining: If you need a reduced meal plan, or cannot have a meal plan at all. At most schools, academic and personal accommodations will require paperwork from your healthcare provider, typically a letter that describes your medical condition and needs. However, even if your school does not ask for this paperwork, you may want to have this letter anyway, in case your circumstances change over time. Based on your individual treatment plan, your IBS management may include over-the-counter products, as well as prescription medications. Throughout the school year, you will need to have these treatments readily available to you, especially during class. At the beginning of the semester, figure out how you’re going to keep your meds in stock: Can you refill your medications at the school health center? Can your roommate drive you to the pharmacy? Can you order your OTC products online? Can you use an online, mail order pharmacy for your prescriptions? If you’re starting college in a new city or state, you may be far from your regular healthcare provider, or looking to find a new provider closer to school. At the beginning of the semester, research and meet with a few local providers, looking for professionals who are experienced and informed about diagnosing and treating IBS. If you’re starting school in a new city, ask your regular provider if they can recommend specialists or health centers in the area. If you don’t want to change providers, you can also schedule your routine appointments during your academic breaks, or talk to your current provider about ways to get help while you’re away at school (such as phone calls or video-conference appointments). If your school has an on-campus health center, you may be able to receive care through this office. Early in the semester, call the health center to learn about their options for refilling medications, and ask if any of the providers have experience treating IBS. While you might have to go off-campus to find a provider with IBS experience, you can also see what the health center has to offer. If you need additional support coping with your IBS, the health center can also refer you to on-campus or local counseling services. Throughout college, your friends and classmates will probably give you plenty of opportunities for late-night eating, pizza delivery, and junk food. Even though “pigging out” may seem like the norm in college, for someone with IBS, certain foods can make symptoms much worse. To manage your diet during college, consider talking to a close friend or roommate about wanting to avoid binge eating, and what foods are best for you. If you want a way to socialize with your friends over food, you can keep IBS-friendly snacks with you too. Some college students claim to use caffeine-fueled all nighters and morning coffee to “survive”. However, because coffee and other caffeinated products are common IBS triggers, you probably know that downing energy drinks in the library won’t work for you. To avoid the need for caffeine, prioritize getting enough sleep, staying organized, and avoiding last minute cramming. When arranging your medical accommodations, you can also ask for flexibility with assignment due dates to avoid all-nighters and extra stress. If you’re like many IBS patients who crave coffee, you can also stock your dorm with your favorite coffee alternative. Research suggests that almost 60% of college students have consumed alcohol in the past month.1 However, like certain foods and caffeine, alcohol can worsen IBS symptoms, especially by making you dehydrated. If you often go to social events where people are drinking, bring water or another drink with you, and talk to your close friends about needing to avoid or limit your alcohol intake. While drinking is a personal choice (for college students and IBS patients alike), you might want to ask your healthcare provider if alcohol is safe for you. Between papers, exams, and homework, college can be stressful, even without IBS. As many patients know, stress can act as a trigger for IBS symptoms, including diarrhea, constipation, and abdominal pain. Before your workload starts to pile up, make a plan for how you’re going to confront college stress. You can try spending time outside, breathing exercises, meditation, or physical exercise. In addition to relying on the support of family and friends, you might also considering seeking professional help to cope with your symptoms. For any college student, relying on the support of friends and roommates can be critical, even if you just need someone to drive you to the grocery store or help you register for classes. While talking about IBS isn’t always easy, it may be helpful to have a one or two people at school who you can talk to and get support from. This person could also drop off your homework, exercise with you, and even hangout in your dorm when you’re not feeling well. 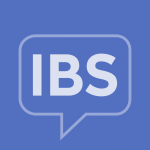 You can also connect with the IBS community for support, guidance, and help.